Powerful cloud-based tools for your board to stay current and watch trends. Staying on top of your company’s performance can be difficult enough, let alone keeping tabs on critical clients, competitors. 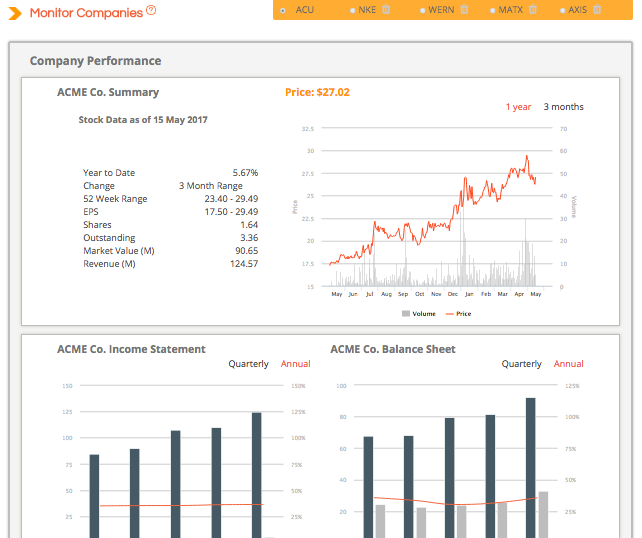 Our cloud-based dashboard allows board members to track critical information such as financial data, market performance, news, activist investors … and more.